Notice: While most of the following are not affected, some sections on this page are momentarily paused. More details below! Beefcake! Who wants some serious mass gain? Alright, not really – I’m a weight loss expert, not a bodybuilding expert, and I wouldn’t give advice in areas that I don’t know much about. Besides, my physique is more “lean, wiry and toned”, and I’m happy to keep it this way. My passion for this topic led me to write a few books and source out resistance bands which helped customers experience the same success that I had. This has inspired me to start up an online store too! At the local level, I’ve been making waves selling my fitness bands and offering advice at markets, exhibitions and other stalls. People love me for being willing to provide fitness advice at the drop of a hat, and can see that I really want them to succeed! In fact, I’ve taken things one step further to demonstrate that I’m passionate about this, and am not just out there to make a quick buck off unsuspecting people. 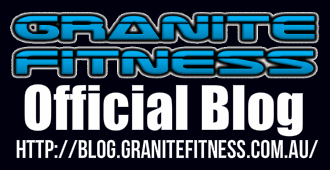 I started the Granite Fitness Blog, where I publish health and fitness articles for others to read – for FREE! And I’m glad to say that the blog’s influence is growing, precisely because the advice I provide is worth its weight in gold. In fact, you should take up a subscription today! After all, it’s free! Click the image below to navigate to the subscription page! Want to get your hands on some physical products? The place to go it the Granite Fitness online store. We are constantly putting new stock in, and everything gets securely delivered to your home! Our partners take buyer protection very seriously! Click on the image below to access the online store! If you wish to learn specifically about psychology, nutrition or exercise, there is also the option of acquiring a digital book for each of those. Go to the Granite Fitness Blog and read more about it. Notice: At the moment I have limited availability to pursue the section below, due to various other commitments, including an overload of clientele for my other services. However, do get in touch if you need this service. Just a heads up that I might refer you on if your needs require more time than I can commit. Thanks! Supplying a client with a large number of resistance and yoga bands as part of their corporate wellness program. Since he was buying in bulk on behalf of his company, they got them at a discount. Planning a customised fitness band workout based on the needs of the client, and demonstrating their proper use face-to-face in person. The client already had access to my video series, but she wanted me to check that she was doing it properly with good form. No problem. Personalised fitness consultation, in which I had a deep discussion with the client to find out what her motivations and goals were. With that in mind, I made a plan for her which included both an eating and an exercise plan. Custom product recommendation, which was more of a sourcing job than a fitness one. Basically, the client had a specific health need and wanted to find a ‘natural’ solution that did not involve physical products. I helped him to research his options in terms of products and feedback. From there he was able to purchase the right digital product and solve his issue within a few months. As you can tell, my success with weight loss and sustaining it has made me a respected figure by those who have benefited from my services. So if you have any specific health and fitness needs, please contact me to discuss it more. As I mentioned before, part of why I have listed a whole section on fitness is because it is my passion and something I am good at. As such, I feel obliged to contribute to the world in this way, even if it does not make me rich. To end this section, I’ll leave you with a bible verse.